Previously we mentioned an Alexander Calder exhibit at the Seattle Art Museum that was an eye-opener for us in regard to Calder’s work. Last month while in Los Angeles and at our old stomping grounds in Pasadena, Caltech (California Institute of Technology), we ran into Calder and his father, Alexander Stirling Calder. The American sculptor Alexander Stirling Calder (1870 – 1945) carved the beautiful stone arches that today adorn a bridge between two laboratories at Caltech. The arches represent Nature, Art, Energy, Science, Imagination, and Law. They originally adorned a building called Throop Hall dedicated in 1910 on the present-day campus. Throop Hall was demolished after the 1971 San Fernando earthquake and the arches lay neglected for years until pressed back into use in 1986 in their current location. We snapped the photo above while walking around campus. We ran into Alexander (Sandy) Calder (1898 – 1976) again at the Getty Center at the Lower Terrace Garden. The two pieces together are called The Jousters (1963). For an audio explanation click on The Jousters link in this audio tour. The title “the big dream” can be taken in one way to refer to the dream of a revolution. 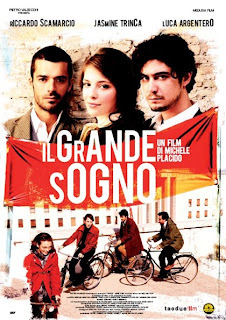 The film’s story is partially about the anti-war movement across the globe, from an Italian perspective. But it is more about the far left-leaning political and social movements that wanted to shake up the ideas of the mainstream Italian bourgeoise (“borghesia”) which had its allegiance to the Italian Communist Party. The turmoil of the late 1960s was the start of The Years of Lead (“Anni di piombo”) which is was period marked by social conflict and acts of terrorism in Italy. Last month while in Palm Springs we saw a couple of things that are worth doing compared to sitting by the pool. Previously, we mentioned visiting Joshua Tree, seeing the Cabazon Dinosaurs, grabbing a date shake, or heading south to the Salton Sea area to visit Bombay Beach or Salvation Mountain. Three other possible outings include a hike in Indian Canyons, a visit to Moorten Botanical Garden, or a ride on the Palm Springs Aerial Tramway up to 8,516 feet to enjoy some cool mountain air and maybe some snow. Indian Canyons refers to Palm Canyon, Andreas Canyon, and Murray Canyon which are part of the Agua Caliente Band of Cahuilla Indian Reservation. Palm Canyon (and the namesake of Palm Springs?) is considered by some the largest California Fan Palm (Washingtonia filifera) oasis and this is what we explored for a few miles. It is a nice because you weave in out of the shade of the palms as you walk. At several places we saw people in the water splashing around or just resting on a rock dangling their feet in. Moorten Botanical Garden is located just a few miles north of Indian Canyons on the same road, S. Palm Canyon Drive. This private garden costs just a few bucks to get into and is a worth a peek if you are at all interested in plants. At Moorten it’s all about desert plants and, of course, cacti. According to the garden’s web site the world’s first “cactarium” is located there – and the Moortens coined the term. (A cactarium as far as we can tell is a greenhouse with rare plants – including cacti.) The garden has been around since 1938 when it was founded by Chester “Cactus Slim” Moorten and his wife, Patricia Moorten. You can buy plants at Moorten. The third thing we wanted to mention is The Palm Springs Aerial Tramway. The ten minute ride brings you from the Valley Station at 2,643 ft to the Mountain Station at 8,516 ft. The tram car rotates 360 degrees twice as it travels the 2.5 miles so that everyone gets a great view. The Mountain Station is located just on the edge of the Mount San Jacinto State Wilderness and the Long Valley Ranger Station is located just a short distance from the tram drop off point. The San Jacinto Peak is at 10,804 ft. Don’t forget to bring a jacket as it may be cooler up top. 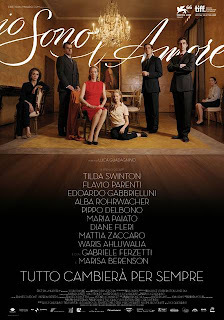 Io Sono l’Amore (2009) is an Italian film from the director Luca Guadagnino that we saw recently as part of the SIFF festival. The film evokes a Visconti (1906 – 1976) –esque drama of a rich family, dynastic ambitions within the family, and the power that outside influences have on the survival of the family. It reminded me a bit of Il Gattopardo. In fact Visconti adapted Il Gattopardo (1963) for the screen. In that story the prince’s nephew is named Tancredi which is the name of the father in Io Sono l’Amore. Of the film, one review said “minute attention to detail in this lavish production” and another “The camera hugs the actors, telling the story through the smallest details and gestures…”. This is exactly what I found puzzling or at least unfamiliar territory: the attention to visual details that seemed to be too much and not relevant. And, of the main character Tilda Swinton while I thought she was interesting in the role, I never got pulled into caring about her character. Overall, Io Sono L’Amore wasn’t as warm and inviting at Mine Vaganti, which we saw the night before, but then again, it probably wasn’t meant to be. 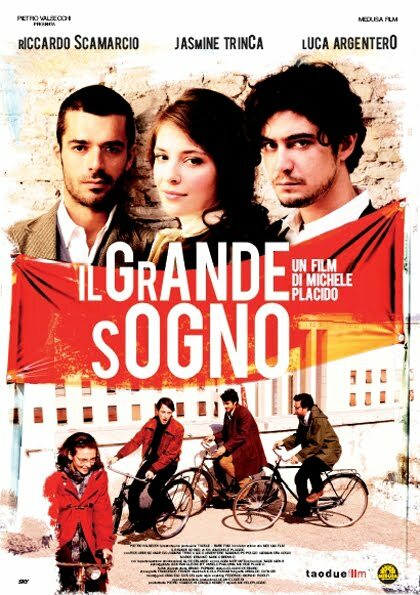 Mine Vaganti (2010) is an Italian film from the Turkish-born, Italian director Ferzan Özpetek that we saw recently as part of the SIFF festival. The title translates to “loose cannons” and refers to a nickname for the grandmother in the film. The film is an enjoyable comedy with a couple of twists and a satisfying end. Here's the official trailer for it. Here's a trailer with subtitles. And the music, very nice. The soundtrack (“colonna sonora”) has as its theme the very catchy and new version of the song 50mila by Nina Zilli. Other songs that stood out in the soundtrack include Pink Martini’s Una Notta a Napoli, the 70s disco song Sorry, I’m a Lady from Baccara, and Kutalama from the Turkish singer/songwriter Sezen Aksu. It’s been a while since Travelmarx made some music recommendations… and there has been no shortage of interesting music to talk about. The primary new music source for us is the Pandora service through the Sonos system. Our two most played releases of the moment are the Radical Face’s Ghost and Boozoo Bajou’s Grains. 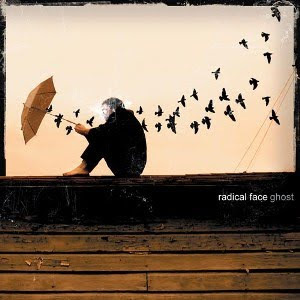 Radical Face is a one man show, Ben Cooper and Ghost (2007) is a concept album about houses retaining memories. Consistent with this theme the album presents a dreamy, slightly haunting (in a good way), and warm sound with what seems like little or no electronic instrumentation. I can listen to the second track Welcome Home (video) over and over. 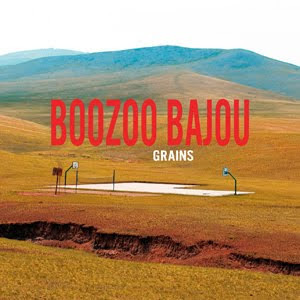 The second release we are playing over and over at Travelmarx is Boozoo Bajou’s Grains (2009). This is a release from a “downbeat duo” from Germany who draw inspiration from reggae, Cajun music, jazz, and pop to name a few genres. In fact, I’m guessing that their name is a tip of the hat to Boozoo Chavis (1930 – 2001), a zydeco musician? Grains like Ghost, is dreamy and slightly haunting (detecting a preferred music style? ), heavy on atmosphere and electronic effects. Tracks alternate between vocals and moody instrumentals. 06/02/2010 - See the Comments for further discussion of General Semantics. 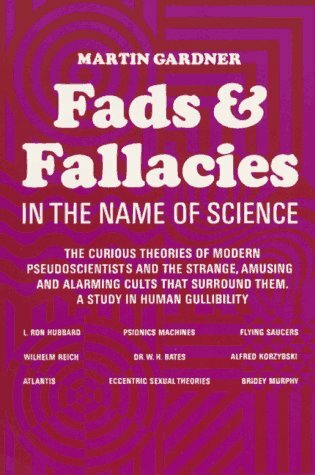 Fads & Fallacies in the Name of Science was written in 1952 and revised in 1957 by the American mathematics and science writer Martin Gardner. The book’s 26 chapters catalog wacky ideas and the cranks and pseudo-scientists who put them forward. The book reminds us over and over again of how scientific skepticism (or any skepticism for that matter) is a skill that we have to practice daily and diligently. To be honest, the book was a bit hard to read in two respects. First, you are reading about American fads and fallacies of more than 50 years ago and we have 50+ years of knowledge to know a little bit more about what is correct and what is crap. Reading about people who tried to pass off what we know today as crap as correct can be a little tiring. It seems not worth the effort, but you must keep reminding yourself that we are not safe today as we have our own fads and fallacies and cranks who peddle them. Use the book as a pattern of what to look out for. To that point, Gardner comes up with “five ways in which the sincere pseudo-scientist’s paranoid tendencies are likely to be exhibited. (1) He considers himself a genius. (2) He regards his colleagues, without exception, as ignorant blockheads. (3) He believes himself unjustly persecuted and discriminated against. (4) He has strong compulsions to focus his attacks on the greatest scientists and the best-established theories. The second respect in which the book is difficult to read is that you are dealing with crazy, inaccurate, and often clearly wrong ideas and it’s hard to keep straight the ideas, names and places. So, all I can suggest is that you read a chapter here and there as needed. I came across the book because I first encountered the idea of “the map is not the territory” by Alfred Korzybski (1879 – 1950) while reading, of all things, My Life in France by Julia Child. Then I ran across one of Korzybski’s crazy diagrams that looks like a strange art project and thought wow, there must be something here. But by chance I also read that Gardner should be consulted about Korzybski. So consult I did. Chapter 23, General Semantics, Etc. deals with Korzybski and his ideas which I think spared my sanity so as I did not plunge head first into Korzybski’s impressive sounding Science and Sanity. In Chapter 18, Food Faddists, Gardner covers questionable ideas such as Rudolf Steiner and Anthroposophy and narrowly focused ideas like Fletcherism - “nature will castigate those who don’t masticate”. Lumped in are some ideas that have proven themselves out today. For example, organic farming mentioned in the chapter comes in for some scorn from Gardner. However, today organic farming is accepted as a viable agricultural practice. Even ideas from folks like Gayelord Hauser (1895 – 1984), a self-styled American nutritionist and Hollywood dietician, gets the last laugh in that his ideas of avoiding sugar and gluten have become more mainstream as well as finding support in research. J.B.S. Haldane (1892 – 1964) from On Being the Right Size in “Possible Worlds and Other Essays” . “Comparative anatomy is largely the story of the struggle to increase surface in proportion to volume.” This is due to the square-cube law. Colin Blakemore (1944 – ) from The Mind Machine . Blakemore gives us the hypothetical story of a photon as it leaves the sun eventually bounces off of an old lady’s skin and ends up striking the back of the retina of her grandson. Niko Tinbergen (1907 – 1988) from Curious Naturalists . An excerpt from Tinbergen’s scientific autobiography describes Tingbergen performing in-the-wild experiments with digger wasps in the sand dunes of Holland. And, you just want to be there sitting with him. Alister Hardy (1896 – 1985) from The Open Sea: Its Natural History . Hardy discovers spooky marine phosphorescence in the night. There is a bit of criticism over the fact that there are only three woman scientists included in the collection. I don’t know enough about the women scientists who might have been eligible for this collection to say if this is fair criticism. 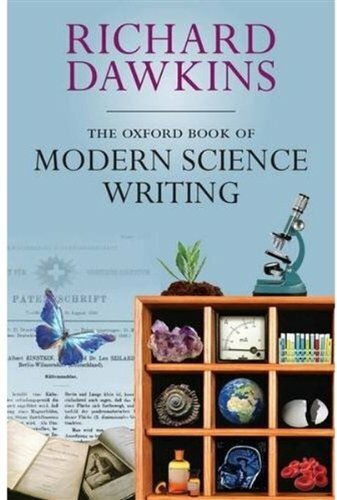 I don’t think this should diminish the take away point that there is some very good science writing and that this collection is a great place to start.